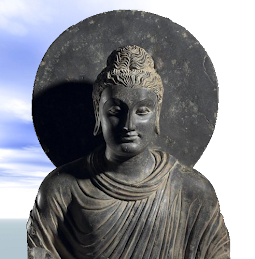 The only after-life theory that has attracted any scientific attention and support is reincarnation, usually called rebirth by Buddhists. And the only accredited scientist who has studied the phenomena was Prof Ian Stevenson (1918-2007) who was head of the Division of Perceptua l Studies at the University of Virginia. I met Stevenson during his several visits to Sri Lanka in the 70’s and 80’s and on one occasion asked him if he believed in reincarnation. He said he did but being a scientist and given the controversial nature of his research he kept his opinion to himself. I asked him if his findings could be explained in some other way and he said this. They could be explained as fraud but that he had done everything possible to cancel this out. It could be telepathy, where one person is unknowingly picking up someone else’s experience and mistaking it for their own memory. And it may be that it is eventually discovered that some memories are transmitted genetically and we are able to ‘remember’ fragments of our grandparent’s or great grandparent’s memories. Stevenson’s research was published in peer-reviewed academic journals but was largely ignored by the scientific community. Philosopher Paul Edwards has written a detailed critique of his research called Reincarnation: A Critical Examination and Ian Wilson’s Mind Out of Time? The Claims of Reincarnation, also contains an in-depth criticism of the research. Wilson also hints that Stevenson was being dishonest, without saying why he thinks so. Nonetheless, Wilson’s book contains some very interesting research and it well worth reading. It’s enough to make anyone with an intelligent interest in reincarnation very cautious of much of the ‘evidence’ presented in its favor of reincarnation and I used to recommend this book to people. But after Wilson has converted to Catholicism and became a fervent believer in the authenticity of the Shroud of Turin we are justified in not just doubting his judgment and his objectivity but even his sanity. Well, then, what do you think of Paul Williams' conversion to Catholicism? And there is also another scholar who is a Catholic, Paul Griffiths. In his book explaining why he converted from Buddhism to Catholicism Williams says ‘I never really gave up Buddhism. I just stopped running away from God’ (I’m quoting him from memory). He also says his friends shook their heads when he announced his conversion and said they thought he was mad. I’ll keep my opinion about his decision to myself. Paul Griffith is a convert from Anglicism to Catholicism and has never been a Buddhist. 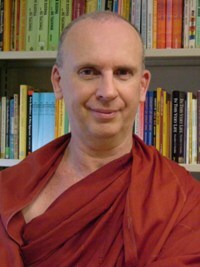 He is a scholar of Buddhism which is different from being a Buddhist. Thank you for this article; I really enjoy your blog. I met you at Tibet Books in Thamel, Kathmandu before you made your trip to Mt. Kailash. I was the fellow with glasses and dark hair in the company of a Western monk (Tibetan tradition). I'm glad you made it back safely! Thank you for your response, Venerable Sir. Ian Wilson too, converted from Anglicanism to Catholicism. Well, is the believe in God and Buddhism compatible (in the case of Williams)? If it is, why bother convert. If not, then it is simply not compatible. Good to hear from you. Our pilgrimage to Mt Kailash was exhausting but very rewarding. The details will be on my blog during November. 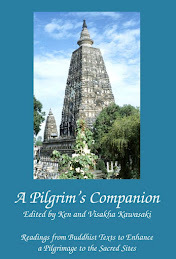 Whether belief in a god is incompatible with Dhamma depends which god one believes in. The god of the Abraham faiths requires, nay demands, total allegiance and thus, I would say, belief in such a deity would require a rejection of Dhamma. As for more open-minded, less ‘jealous’ gods like Sat Nam of the Sikhs, Siva and most other Hindu gods, Ahura Mazda, Plato’s ‘The One’, and the ‘real’ god if he exists, the situation might be different. The "God" that I had in mind was Williams' God, or the Catholic God. On the other hand, I wonder if there are literature responding or defennding against Edward and Wilson. 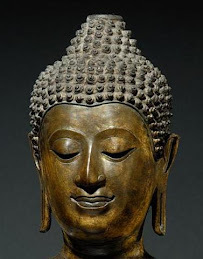 If God is understood as the Unconditioned, Unoriginated, Unborn, Uncreated (terms borrowed from a saying by Gotama Buddha according to a Buddhist scripture), then the god of Jesus could be compatible with the core of Buddhist worldview (not-self, emptiness, impermanence). The god of Jesus could be seen as "someone" who looks at the heart/character of a person and not the accuracy of one's beliefs (i.e. the UnConditioned, the Ground of Being, does not judge base on a person's mind but on a person's heart). Thinker presents Jesus' God as something external to human heart/character but that Unborn aspect in Buddhism is Not separated from the true human being. And that, I think, is the reason why Buddha and Jesus in Thomas Gospel do not call that aspect - GOD. Living Father in that Gospel is never called God or Heavenly Father! And there is no need to have faith in Him - people should only know themselves. But this not the view of Christian Church, and its concept of God does not correspond to Buddhist Unborn. I read Williams ’book (The Unexpected Way, 2002) when it came out with the intention of writing a review of it. In the end I decided that it wasn’t worth it. Williams uses most of his book to tell the reader how much he loves God and the Church. What can you say about that! He doesn’t really highlight anything wrong with Dhamma, not in any meaningful way anyway. As far as I know no one else has bothered to review it either. 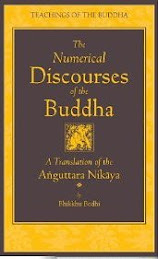 In line with the blog topic, what do you think about Williams' criticism of the Buddhists' theory of rebirth? "Buddhists do not hold such a God exists.Thus I can no longer be a Buddhist." I believe Williams' rejection of Buddhism is based on two issues, ie. the existence God & rebirth. We were fortunate to be able to hear a lecture by Dr. Erlendur Haraldsson, of the Department of Psychology, of the University of Iceland several years ago. His research is similar to Stevenson's and very impressive. His review of Stevenson's great works --Reincarnation and Biology and Where Reincarnation and Biology Intersect is awesome! Sorry the html can't be accepted but it should be easy to look up. Since replication of results is what science requires, Haraldsson's work is important. He made the point in the talk that the most compelling research cases were those in cultures that didn't predispose to rebirth or reincarnation; the most interesting field work he described was within the Druze of Lebanon -- a fascinating case! You can recall your past life if you can meditate up to at least the First Jhana stage, using the Anapanasati method. It’s not easy and you need to practise meditation conscientiously. If interested, a good text “Basic Meditation” by Ajahn Brahmavamso is available online. The link on this Stevenson post leads to yet another rebirth sceptic on youtube. It is futile for scientists and philosophers to speculate and debate over reincarnation for decades when they can find out for themselves through correct meditation. Well you seem to have an inherent bias against reincarnation. May I presume , it comes directly from Buddha's teaching that - " There is no SELF which is Reborn. Only Sankharas are Reborn "